Many taxpayers have sources of taxable income that can’t be reported on their tax return without attaching supplemental forms or worksheets. If you sell your house, for example, you’ll either make a profit or experience a financial loss. And no matter which way the transaction goes, you may need to report it as a gain or loss on IRS Schedule D (Capital Gains and Losses) as part of your IRS Form 1040 (U.S. Individual Income Tax Return). You’ll also use Schedule D for a host of other transactions that include the sale (or trade) of certain types of property. Through the eyes of the IRS, “property” also includes some assets that may surprise you. 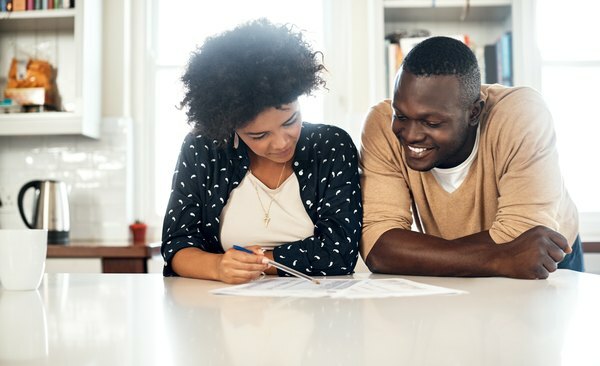 As a heads up, the 1040 form will debut a different look beginning with the 2019 tax season. Although the newly consolidated 1040 form combines three current tax forms (IRS Forms 1040, 1040-A and 1040-EZ), you'll still attach your Schedule D to the new 1040. For figuring gains or losses from transactions you report on Form 8949. For reporting certain transactions that you don’t have to report on Form 8949. For reporting gains you report on Forms 2439 or 6252 or on Part I of Form 4797. For reporting gains or losses from Forms 4684, 6781 or 8824. For reporting gains or losses from partnerships, S corporations, estates and trusts. For reporting capital gain distributions that you don’t report directly on line 13 of Schedule 1 (Form 1040) or effectively connected gains not directly reported on line 14 of Form 1040NR. For reporting any capital loss carryovers. Because so many of these Schedule D uses also depend on using additional forms, you may need to complete another form before you can begin filling out your Schedule D worksheet. For the details on how to fill out each of the forms, visit IRS.gov/forms and search for the form you need by name. You can also search the IRS forms database to find the Schedule D instructions, which explain how and when to use each of these forms. Capital gains and losses are further subdivided into short-term and long-term categories. A short-term asset typically is one you’ve held for a year or less, and a long-term asset typically is one you’ve held for more than a year. This distinction is important as you begin to fill out your Schedule D worksheet. Part I: Short-Term Capital Gains and Losses. You’ll first need to calculate any short-term capital gains or losses you had for the tax year on Form 8949 (Sales and Dispositions of Capital Assets) before transferring the information to Schedule D. If you have any short-term transactions reported on IRS Form 1099-B, enter these on Line 1a. (You can also choose to leave Line 1a blank or include this amount in your Form 8949 total.) Transfer other Form 8949 amounts to Lines 2 and 3 under the correct category that pertains to your particular transactions, following Schedule D instructions. Part II: Long-Term Capital Gains and Losses. Fill out this section of the IRS Schedule D tax worksheet in a similar manner as you calculated your short-term capital gains and losses, transferring the corresponding Form 8949 amounts to Lines 8b, 9 and 10 under the correct category that pertains to your particular transactions, following Schedule D instructions. Part III: Summary. This summary section walks you through a flow chart of sorts to determine your net capital gain or loss. You may need to adjust your figures according to the instructions in this section. If so, the instructions will direct you to the appropriate worksheet to make additional calculations. If you don’t have to adjust any figures, the instructions will direct you to the specific line on 1040’s Schedule 1 to enter your totals. Schedule D contains different worksheets that you may need to complete, including the Capital Loss Carryover Worksheet, 28% Rate Gain Worksheet and Unrecaptured Section 1250 Gain Worksheet. Each of these worksheets helps you compute certain Schedule D line-item amounts, and each also comes with instructions. If you hit a snag while trying to decipher the instructions, you may want to call your tax attorney or tax accountant. For qualifying taxpayers, the IRS offers free tax return preparation help. If you make $54,000 or less, or if you're disabled, the IRS provides free tax assistance through its Volunteer Income Tax Assistance (VITA) program. Another free tax-assistance program is Tax Counseling for the Elderly (TCE), which focuses on taxpayers who are 60 years old and older. But TCE also helps taxpayers of all ages. Although these two programs generally help with basic tax preparation, including simple capital gains/losses, the IRS-certified volunteers who staff VITA/TCE sites generally don't help with complicated Schedule D questions. They will, however, help with some of the supporting forms that you'll need to complete your Schedule such as Form 1099-DIV (Dividends and Distributions). VITA/TCE programs are generally located in schools, libraries and community centers. Find your nearest VITA/TEC site by calling 800-906-9887. You can also visit IRS.gov and search for the VITA locator tool. You can skip Form 8949 under certain circumstances, such as when your only capital gain or loss is a capital loss carryover from a previous tax year. Report your net capital gain or loss on Line 13 of Form 1040; submit Schedule D and Form 8949 together with Form 1040.